Everything is expensive these days, even our time costs us money. The good news is that by starting a vegetable garden in your backyard, you could start saving on both in a matter of weeks! Food happens to be one of our greatest expenses, so it kind of makes sense to use the space you’ve got at home to grow your own crops, saving you on costly grocery bills every month. 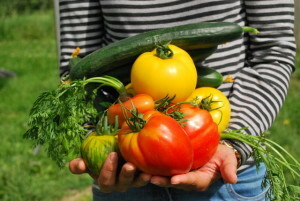 A vegetable garden is not only economically smart, but is a healthier way of life.